Companies use lithium-ion batteries to power everything from e-cigarettes and mobile phones to electric cars, and there’s a good reason for that: A lithium-ion battery stores an incredible amount of power in a tiny package. Treated improperly, though, a lithium-ion battery can overheat and explode or cause a fire. The battery in your eGo e-cigarette benefits from a tiny microprocessor that regulates the charging current and monitors the voltage of the battery. When the battery reaches its maximum voltage, the charging circuit automatically shuts off. Even intelligent devices can sometimes fail, though, so you need to treat your eGo e-cigarette right by charging it safely. This guide will provide all of the information that you need. Your Euro Vape eGo e-cigarette includes a USB charging cable. You can charge your e-cigarette by connecting the battery to the threading at the end of the charging cable and connecting the other end of the cable to your computer. If you prefer to use a mains adapter, avoid using any adapter that doesn’t bear the Euro Vape logo. If you must use your own mains adapter to charge your eGo e-cigarette, you should compare the output specifications of the mains adapter to the input specifications of your USB charging cable. On the bottom of the charging cable, you’ll see a sticker with text such as “Input: DC 5V 500 mAh.” The sticker tells you the voltage and charging rate that the cable expects to receive. Your mains adapter should also have a sticker. The text in the “Output” section of the sticker should match the text in the “Input” area of the charging cable’s sticker. If you don’t have a mains adapter with a sticker matching the sticker on your charging cable, you’ll need to charge your eGo e-cigarette with your computer. With any lithium-ion battery, there is always a tiny chance that something could go wrong – even if you charge the battery exactly as you should. For maximum safety, you should always be around when your eGo e-cigarette charges. 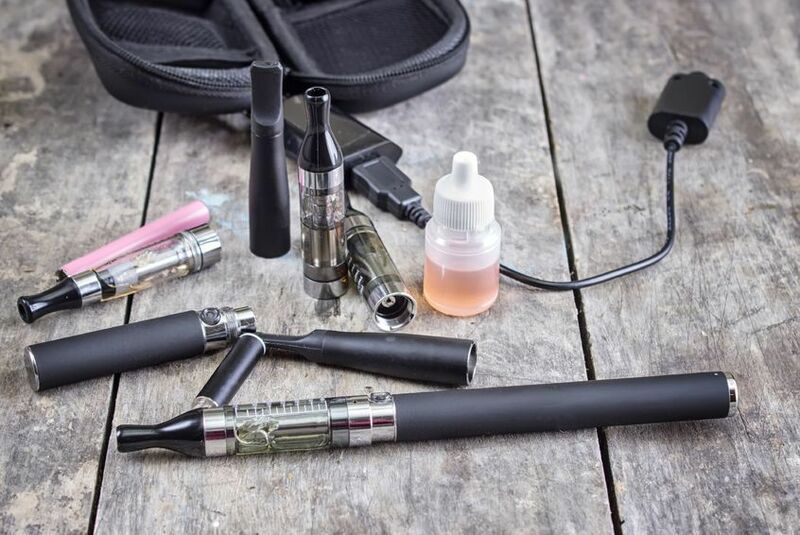 If you hear a noise or smell smoke while your eGo e-cigarette charges, what you do next could protect your family from harm and save you from having to deal with serious property damage. If you aren’t there, though, a battery entering thermal runaway could cause serious damage. Never charge any battery unattended. The indicator light on your eGo e-cigarette changes when the charge cycle is complete. Disconnect the battery promptly. Although it’s tempting to allow your batteries to charge overnight, you should avoid doing so because you need to be there if an unexpected incident occurs. Mobile phone makers will do anything to differentiate their products from the competition, and battery charging speed is an area in which every mobile phone maker constantly strives to make improvements. A modern smartphone often includes a mains adapter with a strong charging current that can bring the phone to a usable state after just a few minutes of waiting. A mobile phone quick charger may charge a battery with a current exceeding 2 amps. A typical e-cigarette battery, however, charges with a current of 0.5-1.0 amps. Charging an eGo e-cigarette with a mobile phone charger poses a serious risk of overheating. Lithium-ion batteries don’t like overly high or low temperatures. Low temperatures sap the charge from a battery, and high temperatures reduce a battery’s potential lifespan. Don’t charge your eGo e-cigarette near a heat source such as a radiator or a computer’s exhaust fan. Avoid storing your batteries in your car – especially during the hottest and coldest parts of the year.